Do you see the snow outside the window? Ruffles smiling for the camera - isn't that too bright ;) ? Check out the rest of the schedule throughout the week. Have a wonder-ruffle day. Oh wow, what a great pillow! 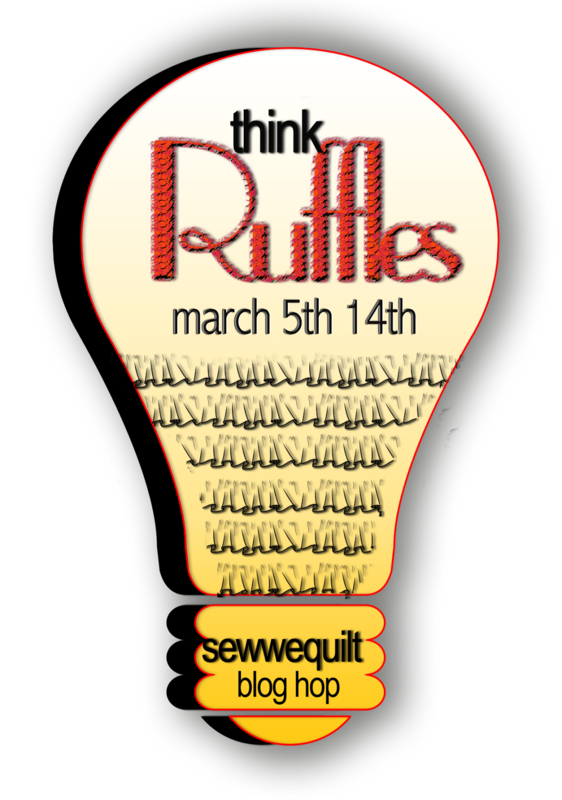 :) There is nothing like ruffles (I don't do zippers!). Beautiful ruffle perfection!! It is as pretty as the white wonderland in the background. Can't wait to see what you create for your daughter. What a beautiful ruffled pillow and I love how you left the pinked edge! Your little helper looks like he wants to help! Thank you for sharing. Your ruffled pillow is just beautiful! I understand your daughter. You did an amazing job with all of those ruffles on that pillow! Oh What a sweet pillow! I bet my little sunshine would love something like this! Thank you so much for showing us how and sharing. Your pillow is so cute. 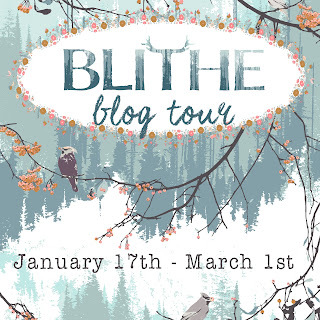 Thanks for sharing your creativity and being part of this blog hop. Very good idea, a ruffled pillow! I love white, but with 3 boys at home, no chance it will keep as white for more than 1 hour.... but I see you also have a boy,...... no fear? Such a pretty pillow. Love the idea of a white ruffled skirt, your daughter will look very pretty and feminine! This is so pretty and would be gorgeous on a bed. Great ruffles and I love your pillow! Wonderful job. 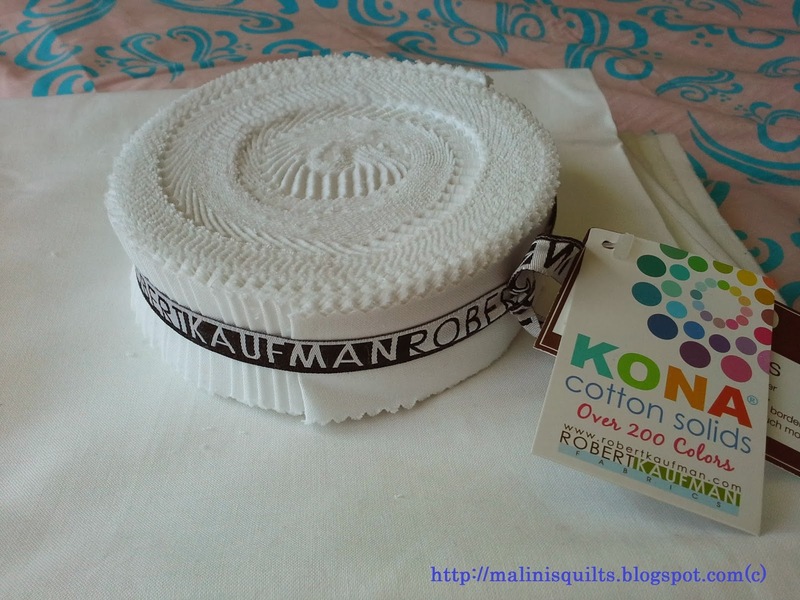 That's a gorgeous pillow, and what a great idea to use pre-cut strips! What a great pillow! Your ruffles look fantastic! Wow! Fabulous ruffles and pillow! Thanks for sharing! Thats a lovely pillow, great job! Great job! The "pinked" edge really makes the ruffles, ruffle better!!! Oh goodness, such a fantastic pillow! Thank you for sharing it with us! Oh I so love the looks of that honey bun all wrapped up, but then the next photos with that adorable real life Honey Bun! Great pillow you created. Almost hide all that blasted snow. I don't know about you, but I am just about sick of snow. We had a dumping again last night! LOL! Lovely! I love all the white ruffles! Great pillow. Cute, cute pillow! I love the white, but I can see it in so many beautiful colors as well. Lovely job! So pristine, go with absolutely everything. Also very neatly done. Well done! I love the pillow and it was a great idea to put a zipper in it. White fabric was the perfect choice. Oh, what a sweet pillow! And to use your little pre-cut honeybun strips... wonderful! I must try this. Great job on the pillow. I can see why your daughter wants them too! What an adorable helper you have there to go with your wonderful pillow project. No wonder your daughter wants to wear a version of what you made up! Looks like you have plenty of practice on it now! That's a very cute little model there! What a cute little model and the pillow is very cool! Wonderful pillow, I think one in yellows and greens would be great too. Love your beautiful pillow! It's a good project! Beautiful pillow..hope you enjoyed making the ruffles! Who knew that you could make WHITE so CHEERY and BRIGHT! Such a nice pillow! Your sewing is perfect! Love your cheery white pillow. With my life of dogs and kids (not to mention my husband :)) I don't think a white pillow is in the works so I will just have to admire yours! Great ruffled pillow , it looks great on your sofa ! What a great pillow. I think because it is a neutral it would go with so many different styles! It could soften a really cool palette, geometric themed room or inject a little whimsy into a more traditional style. Just lovely! The white ruffles on that pillow are perfect. What a great design. You just can't go wrong with a ruffled pillow and white is so close to my heart. Great job. Your ruffled pillow is so feminine. The ruffled pillow is beautiful. It is elegant. A skirt for your daughter will be absolutely beautiful. Thanks for participating in the hop and the great inspiration. That is one very sweet pillow! But the ruffle model is the best! ADORABLE! How wonderful to make an all white ruffled pillow. It is gorgeous. 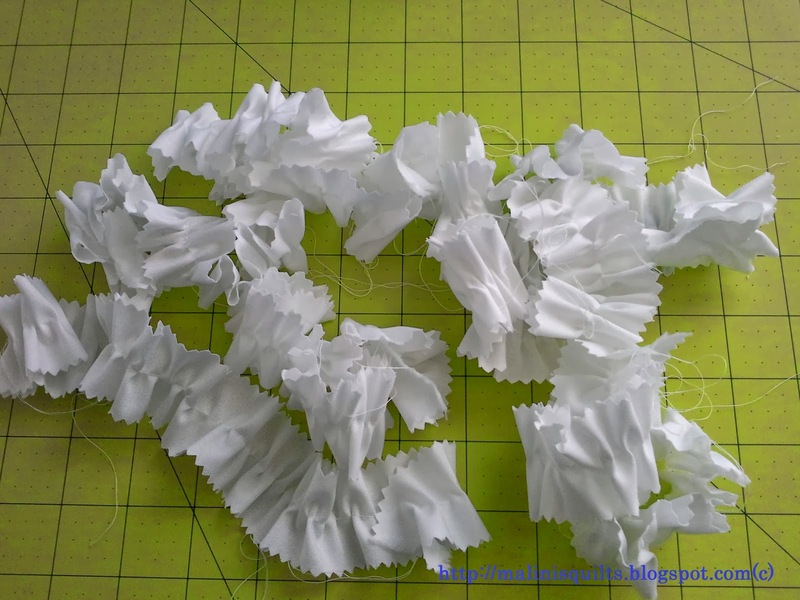 No wonder you want to make more ruffles! A very classic pillow with the white ruffles. And how smart using a precut that the edges are pinked. You don't have to finish all those strips of ruffles. Love how you did those. Easy. Thanks for showing. That double ruffle is adorable on the pillow. I can just see the pillow tucked up on a big bed all decked out in white bedding and with lots of other ruffled pillows, too. Can't go wrong with a crisp, clean, white pillow with ruffles. Very elegant looking. 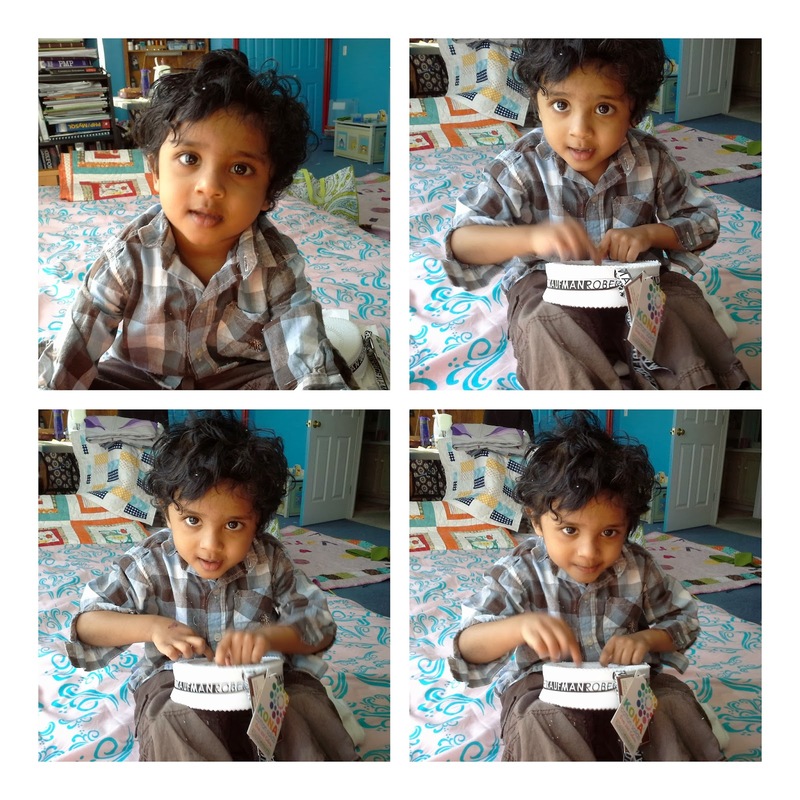 Your little quilting model is adorable. A real wonder in white. I don't think there is anything that says crisp and clean like white ruffles (think little girly pinafores). Your blog is just about impossible to read because of the background. Beautiful pillow!!!! I'm gonna have to get brave and try making one. Lovely!!!! Your ruffled pillow is so inviting. And what a sweet model you have. Wow!! Awesome pillow....no wonder your daughter wants a skirt with same ruffles!! Too cool!!! Your ruffled pillow looks lovely and feminine. I think a skirt would be so cute too. Really beautiful pillow. I love the white, it is so pretty. Thanks for sharing. Look at all the ruffles. It's such a pretty and fun pillow. Wow, that is sew pretty!! Nice job. Nice job on the pillow. The ruffles came out great! Oh so rufflly beautiful make mine in purple(tee hee) it is adorable thanks for sharing. Wow what a lovely pillow! I love the way the ruffles give so much texture to something as simple as a white pillow, just wonderful! The ruffles are so pretty! Looking forward to seeing that skirt! I love your ruffled pillow. Wonderful idea. Oh, my I can see making many of these with all those skinny strips I save from other projects, just let the colors play nicely together. Thank you.